Facebook has made a subtle change to the "Friends" icon that appears at the top-right of its homepage, bringing the woman in the image in front of the man, The Verge reports. 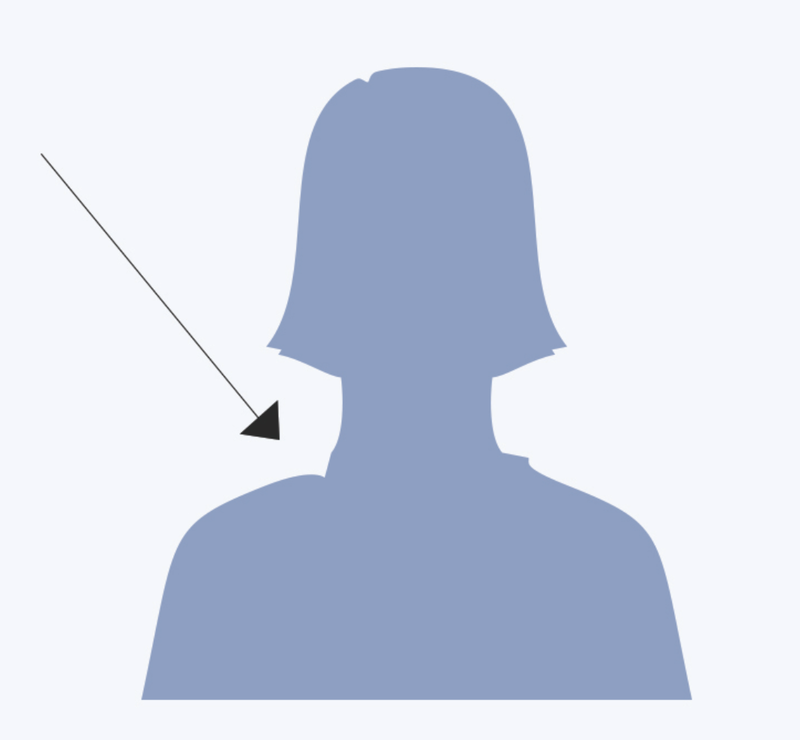 Facebook design manager Caitlin Winner explains in a Medium post that the change was brought about after she noticed that while the man in the icon in the Facebook stylebook — or "glyph"— was symmetrical (except for his spiked hairdo,) the lady "had a little chip in her shoulder." MediumThe original lady glyph and her chip. Of course, the "chip" was only there because this was the exact position where the man icon would be inserted. "I assumed no ill intentions, just a lack of consideration, but as a lady with two robust shoulders, the chip offended me," writes Winner. But after fixing the shoulder, Winner had another complaint: the lady's hair, which she describes as a "Darth Vader-like helmet." Winner drew in a pony tail, long hair, curly hair, but eventually plumped with a "slightly more shapely bob." Then Winner encountered another problem: "In comparison to the new lady, the old man icon seemed stiff and outdated." So she then set about smoothing down his hair and adding a slight slope to his shoulders. In updating the man, she also noticed there were many places on Facebook where a single male figure is used to represent an action — such as the "add friend" icon — so she drew a female single silhouette too. The next issue to tackle was the size and order of the female silhouette in the "Friends" icon. Winner said: "As a woman, educated at a women’s college, it was hard not to read into the symbolism of the current icon; the woman was quite literally in the shadow of the man, she was not in a position to lean in." "Lean in," of course, is the title of the best-selling book authored by Facebook COO Sheryl Sandberg, and her mantra created to encourage female empowerment. My first idea was to draw a double silhouette, two people of equal sizes without a hard line indicating who was in front. Dozens of iterations later, I abandoned this approach after failing to make an icon that didn’t look like a two headed mythical beast. I placed the lady, slightly smaller, in front of the man. The old ‘groups’ icon featured two men and one woman, the woman sat in the back left behind the larger centered man. It was an obvious refresh to use three unique silhouettes instead and, here again, I placed the lady first. Soon after Winner "timidly" saved a version of the glyph file, "not sure if I was breaking any rules and half expecting a bunch of angry designers to message me asking why I was messing up Facebook's glyph kit" the new icons began rolling out across the social network's new products. Winner says the new male and female silhouettes have already been shipped out for desktop, and appropriate male and female icons are now designated in the new profile creation process. Just last week Facebook also made a subtle alteration to its main "Facebook" logo, making the text slimmer and sleeker with a new typeface.